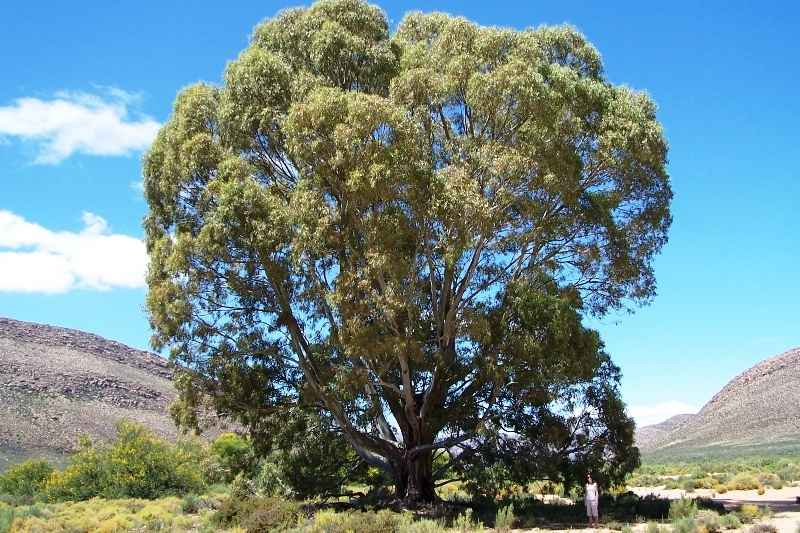 The Witteberg Private Nature Reserve is situated on the farm, Elandskloof. 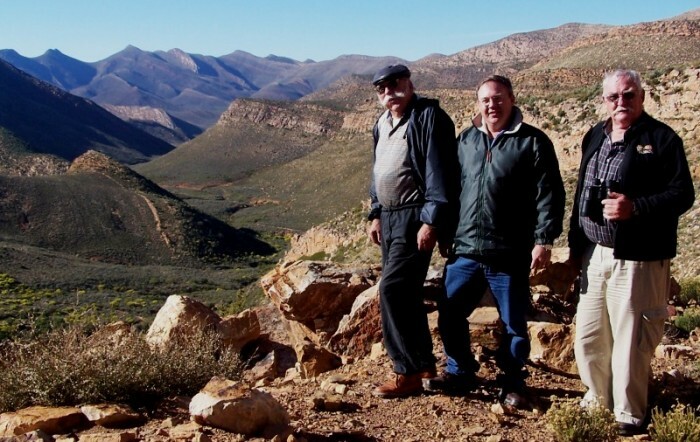 The history is well documented in a book entitled “Elandskloof in die Witteberge” which was written and published by Hennie Steyl, who grew up on the property. The heritage aspects cover Early-, Middle- and Late Stone Age artefacts, San rock art, marine trace fossils, several heritage buildings and other historic structures. The Stone Age artefacts indicate that the Witteberg area has been inhabited for thousands of years, possibly even by the extinct species, Homo erectus. 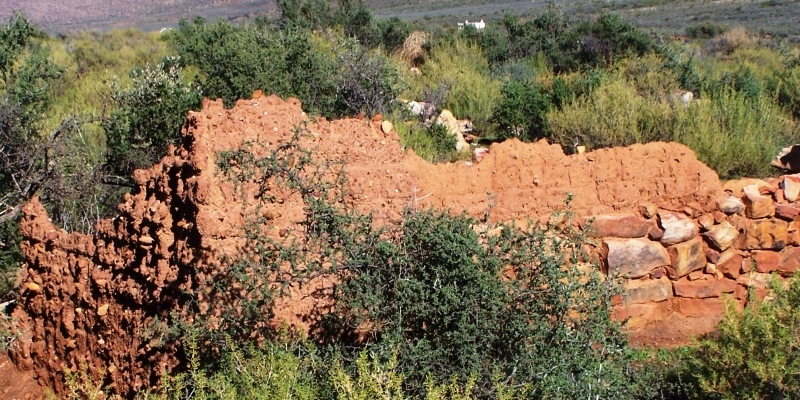 The farm’s first settlers were a Kriel couple who arrived on Elandskloof around 1853. J G Kriel and his wife initially held the farm on a quit-rent basis but purchased the farm from the state in September 1862. The couple had 17 children, of which six died at a very young age. The original homestead, which over the years has been renovated and extended several times, still stands. Interestingly, during one of the renovations the doors of a 1938 model Pontiac were used as a substitute for windows. 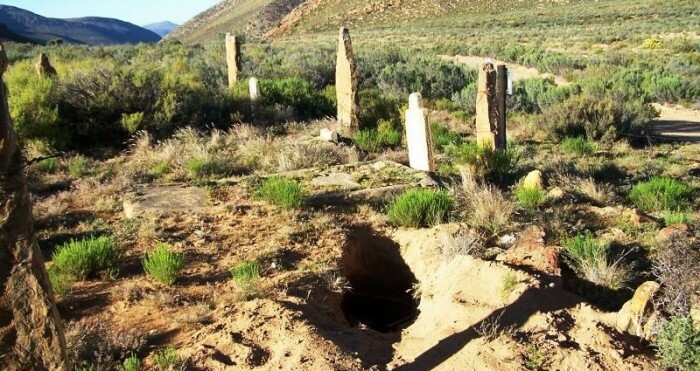 The graves of the Kriel couple and those children that died young are located towards the southern section of the reserve. The eleven surviving Kriel children inherited the farm in 1913, each getting a 1/11th share of the property. Being mostly daughters, the surnames Steyl, Ellis, Wolfaardt, King, du Toit, van Eeden and Harmse joined the ranks. The eleven families plus their workers and “bywoners” lived on the property, where they all had their own homes. Unlike other farms in the area, Elandskloof functioned as a vibrant rural settlement. At least 24 homes and a school are documented to have existed on the property. Most of these structures disintegrated over the years. However, several remnants of stone and mud structures can still be seen. The buildings that remained intact are the “Boonste Huis”, “Koos Ellis se Huis”, “Piet Spogter se Huis”, the “Grasdakhuis” with the Pontiac doors and the school. It is not known when the school was built, but it already existed in 1906. All these buildings were modified several times during their existence and none is still in its original state. The eldest Kriel daughter married J C A Steyl in 1871. After the Anglo-Boer War (1902), J C A Steyl and his wife moved to Elandskloof, where they stayed and farmed with his in-laws, the Kriels. The Steyl couple eventually had to sell their portion of the farm. In 1945, Alwyn, the youngest son of J C A Steyl, managed to buy back his mother’s portion of the farm. Alwyn Steyl continued buying back portions of the farm so that by 1954 he owned the entire farm Elandskloof. In 1973 Alwyn Steyl’s son-in-law, Kobus Oosthuizen, bought the farm from him. There are several graveyards on the property, which relate to various families. 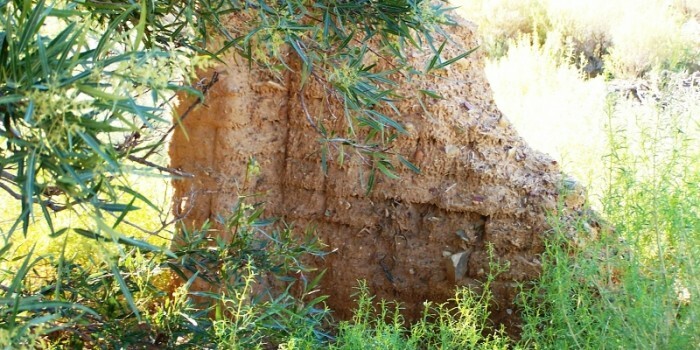 The graveyards are an important component of the historical layering of the property. The graves are occasionally visited by descendants. The graveyards contribute to the sense of desolation, remoteness and historical mystery. Over the years, various farming activities were practised on Elandskloof, but none were sustainable. The farm was bought by the current owners in August 2005 with the specific purpose of developing the Witteberg Private Nature Reserve resort. Several holiday homes will be offered for sale. The four historic homes still standing are being offered for sale as holiday homes. The historic school building was restored as a museum.